Rajib Ray, the President of Delhi University Teachers’ Association (DUTA), on behalf of DUTA has written to the Vice-Chancellor of the University on 17th April expressing concern over the recent sexual harassment cases that have come to light. The letter stated various violations by the colleges. It has been observed that the accused is often a person of authority and is successful in intimidating and silencing the complainants and witnesses. Despite this, stern action is not taken against the accused which raises doubts about the inquiry committee and process. A number of colleges/departments have flouted the University Grants Commission’s guideline for conducting student elections for the Internal Complaints Committee. In cases where reports have been submitted to the Apex Committee, the recommendations have not been placed before the Executive Council for implementation. The other cases have not been pursued in a time-bound manner leading to the subversion of justice and redressal. It has also been articulated that women students and employees continue to face sexual harassment. The DUTA President has urged the Vice-Chancellor to take the cases from Department of Chemistry and African Studies, Swami Shraddhanand College, Bharti College, Daulat Ram College, and College of Vocational Studies seriously. 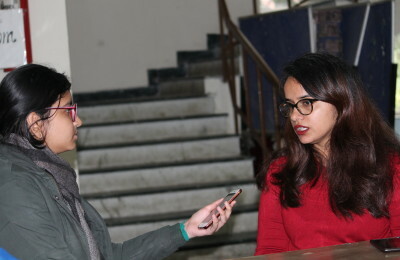 In conversation with DU Beat, Abha Deb Habib, an active member of DUTA added, a University with 1.5 lakh students in regular courses and over four lakh students in SOL (School of Open Learning) has to provide a safe environment for women students, which means that there cannot be any kind of laxity in handling cases of sexual harassment. With a large number of outstation students, it becomes even more crucial to provide them safety. It is unfortunate to see that in the Chemistry Department case, the Head was not removed while the inquiry was taking place against him on charges of sexual harassment. A system of fair and time-bound inquiry is a must if we wish to curb this social problem and empower our women students.